A beacon with option may be reprogrammed with a new message using our optional handheld device. 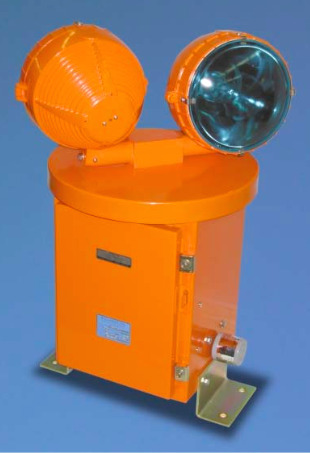 The white or green flashing 300mm International Morse Code beacon is specified for use on airfields and heliports. The beacon is factory programmed to flash a customer specified message in Morse Code. There is a power contactor and lamp failure alarm relay. Upon failure of the first lamp, the alarm activates isolated voltage free contacts for remote indication. The PMB has clear Fresnel lenses and it is hinged at the midpoint for relamping. 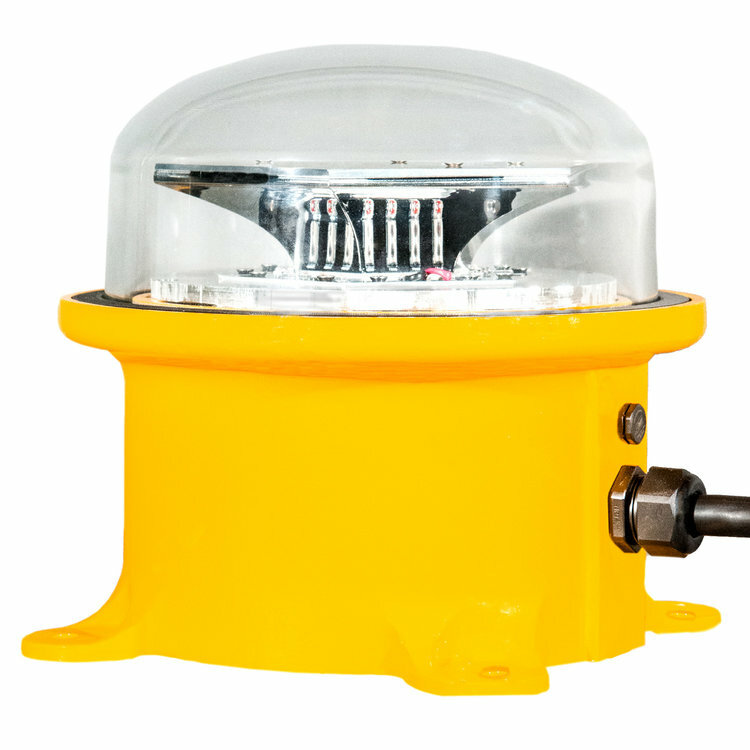 All exterior metal beacon parts are powdercoat painted aviation yellow for corrosion resistance that meets the US Military Standard Salt Fog Test conducted per MIL-STD-810E, Method 509.3, Procedure I. 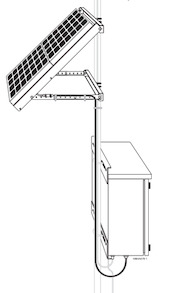 The PPC photoelectric controller option -P provides automatic lighting activation at dusk per FAA specifications. The Morse code beacon shall comply with ICAO Annex 14, Volume II, paragraph 5.3.2. The basic unit shall flash message “H” unless the user specifies a different message to be factory programmed. The peak beam in white shall be 2,500 candelas. 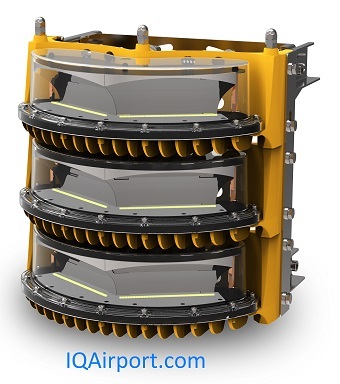 For the ICAO aerodrome identification beacon, the light output color is green and specify the code message. 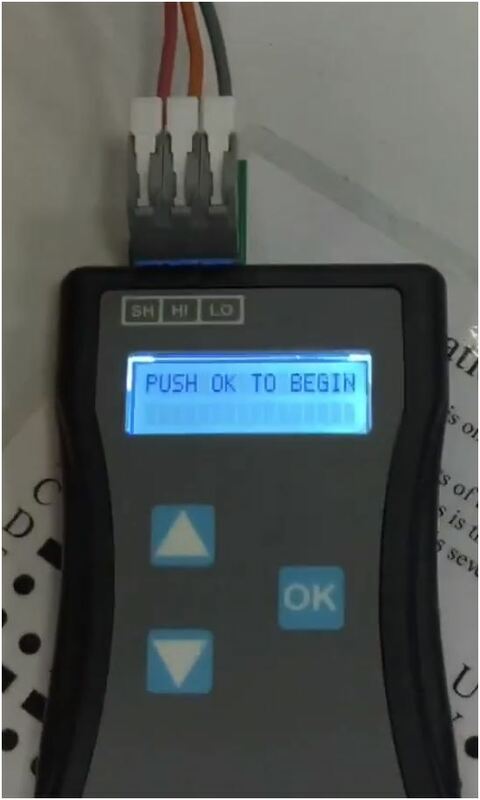 In addition to the features of option –M, the Morse code beacon shall have a line powered alarm line for LED array failure alarm and flasher failure alarm. The beacon message may be reprogrammed using our optional handheld device PL11248-MA. The flash of the white (clear) LEDs shall be double-peaked (meaning a double flash) as appears in US Military specifications. Requires –H or –HA. Morse Code Beacon Field Programming Morse Code Beacon Remote Control Handheld Programmer PL11248-MA Required for changing the Morse code message in the field. High Intensity Obstruction Light 3 Layer, High intensity lighting, White obstruction lighting, catenary lighting, Skyscraper, Masts, Chimney, Wind turbines On Shore, Wind turbines offshore.